Description: 1st Source Bank is a business categorized under others depository institutions, which is part of the larger category others depository institutions. 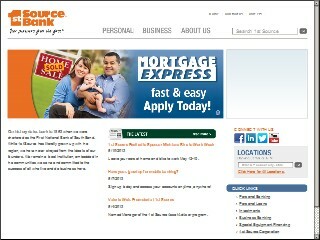 1st Source Bank is located at the address 100 N Main in South Bend, Indiana 46601. The intern is intern who can be contacted at (574)235-2000.